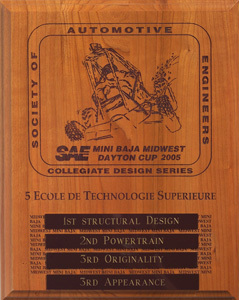 Prix : 1st Structural Design. 2nd Powertrain. 3rd Originality. 3rd Appearance.